More gradients! 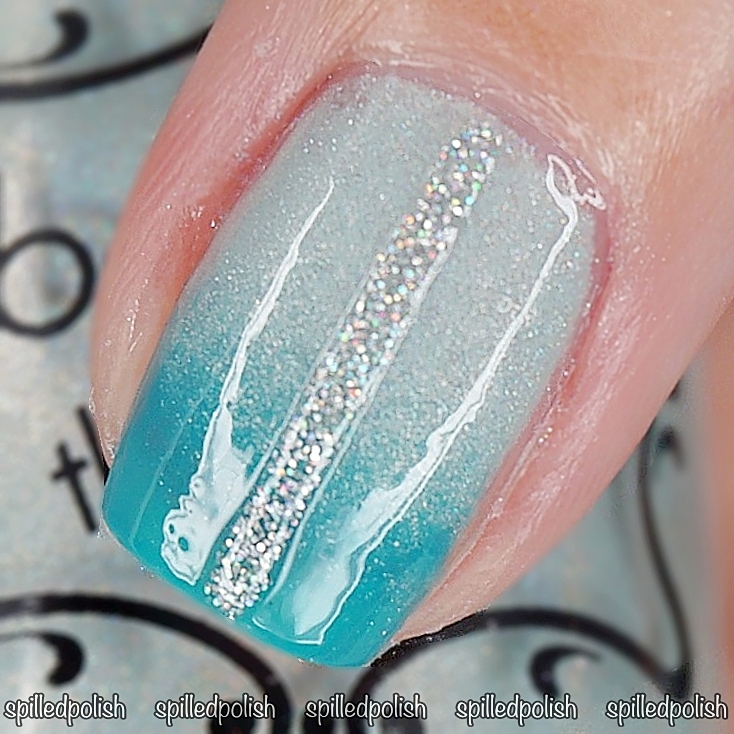 I think it's safe to say I am obsessed with doing gradients lately haha. I started by painted around each nail with NailExperiments - Easy Peel Latex Barrier. 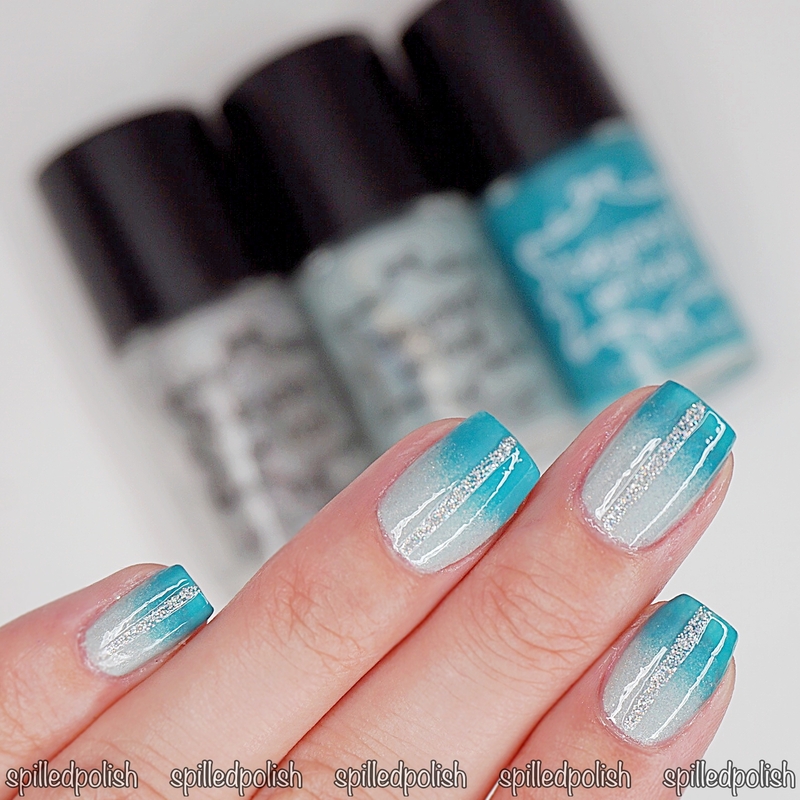 When it was completely dry, I sponged on a gradient over each nail with Beyond the Nail - Mojito & Beyond the Nail - Teal Creme. I peeled away the latex barrier immediately after because I find as the nail polish dries, it sticks to my skin and comes off the latex barrier. I added one coat of PRO-FX - Quick Dry Topcoat to every nail and waiting for that to dry. 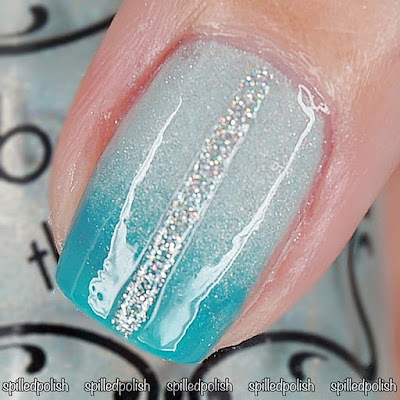 I then placed on two Line Nail Guides down each nail and painted in between them with Beyond the Nail - Holographic Silver Microglitter. I carefully peeled off the nail guides and added another coat of topcoat to each nail.